At last the day finally came for me to eat at Hang Fire's new place and what a day for it to arrive on. Earlier in the day the results of the EU referendum had been announced and the rest the day was a bit of a blur as I contemplated what the hell had just happened. When I woke from stupor I found myself gazing up at the impressive and resurrected Pump House in Barry. Home to Hang Fire Southern Kitchen and for the first time that day I felt positive about something. Sat at our table we had a great view over the restaurant. Think casual-industrial for the look. Then as if from nowhere we saw Shauna, one half of the HF duo, moving from table to table, taking orders delivering food and drink, chatting, cracking jokes and generally running the show, like she was born to do this! As she made her way to our table she spotted the glum look on my face and uttered the immortal words that only she could...."Brisket not Brexit" I knew then everything at least for tonight would be OK. The next step in my healing process was a pint of Rocky Top (£4.50). 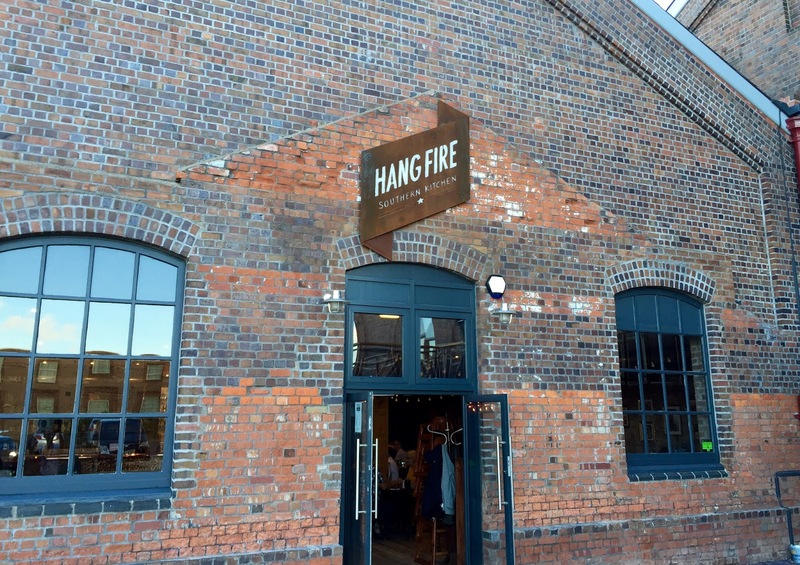 A collaboration between Hang Fire and Waen Brewery. This beer is the utter pinnacle of refreshment. A beautiful colour, full of hops and bags of zing. Served ice cold it was a brilliant start. The menu is split into four main sections; appetisers, house specials featuring classic dishes from the South, Prilla grill a custom built wood fired Argentinian style grill (the first in Wales) and Smoked. To start Mrs Clonc opted for the Lil' Cheeky Pies (£4.50) while I was all about the Smoked Wings (£6.50) in a Louisiana hot sauce. The pies were cute little parcels of meatiness. The rustic pastry encasing soft and unctuous filling of smoked brisket and ox cheeks deep and rich in beefy flavour. A side of brisket au jus to dip them into for added moisture worked well. The wings however were absolutely banging. Probably the best I have had. The spiciness was spot on, enough to make your lips tingle but still allowing the smoked flavour of the chicken to come through with a nice fruity finish. Delicious. The mains soon followed. The Smoked Chicken and Waffles (£14) took Mrs Clonc's fancy and sounds like a dish Snoop Dog may order. I however was all about the Brisket (£17). The chicken and waffles comprised of coated wood smoked chicken on the bone, savoury style waffles thins, sweet potato fries and jug of black'n'white pepper gravy. We're talking triple carb action here folks! Again the smokiness of the chicken prevailed, the sweet potatoes fries were bang on, loved the slight chew from the waffles and the thick and highly peppered gravy was much needed. If anything we think a lighter sauce/gravy would work better as the overall dish although tasty is really heavy. On my plate I was rocking 12 hour Hickory smoked slices of brisket, sat on top of Texan Toast, dressed with au jus gravy, house fries, 'slaw, pickles and twice smoked hunks of brisket known as 'burnt ends'. The brisket was insanely good. Rich and deep in meaty flavour with the taste of smoke running through it. Soft and melt in the mouth. I loved the way the Texan Toast (Hang Fire's artisan take on cheap white American bread) soaked up all the gravy and meat juices, so good. 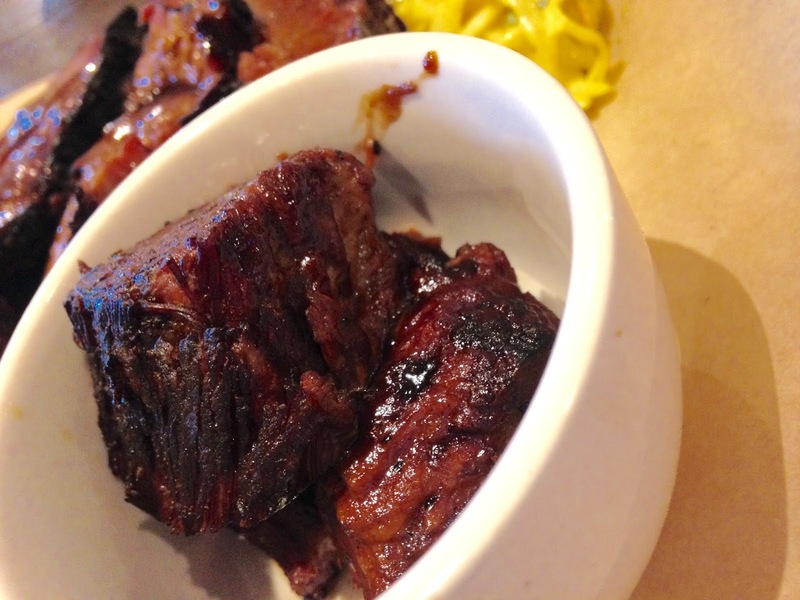 The show stopper was the 'burnt ends'. Wow. These little hunks of meat were unbelievably tender and packed full of flavour. Sublime and a must for any meat lover. Well by this point we were done for. Not an inch left for desserts. Sam, the other half of the HF duo, definitely smashed it on the food front tonight! There was a lovely atmosphere in the restaurant just so chilled. So much so we felt quite comfortable chatting to the table next to us who were similarly impressed with the place and similarly deciding whether desserts were a good idea or not. If I was to sum up Hang Fire Southern Kitchen in one word I would use generosity. Generosity in their welcome, in their delicious food and with their time. If you have ever had the pleasure of speaking to Sam and Shauna their enthusiasm and passion for what they do is so infections you can't help wanting to be a part of it! To paraphrase the Hang Fire ladies, "Come Thirsty and Come Hungry". Go! With the long summer school holiday almost in full swing, I have three more additions to this ongoing series. You can read Vol.1 and Vol.2 by clicking on the links. The remit is the same as before; places to eat that serve delicious food in a great environment that are not especially stress inducing when dining with children. All my recommendations are places that I have been with my own family and all meet the approval of my son Baby Clonc (now 2 and a bit years old!). The 'Hidden Gem': Dusty Knuckle Pizza Co. It's been a whirlwind 2016 for Phil and Debs who run Dusty Knuckle to say the least! After a couple of years on the street food and pop up scene the pair quit their jobs and opened their first permanent set up in a courtyard behind Crafty Devil's Cellar. Fast forward a few months on and they have moved up the road to a larger site next to The Print Haus in Canton. As 'hidden gem' suggests this place needs to be found but once you do it's fun, charming, eclectic, industrial and effortlessly cool surroundings are brilliant. Lots of space for young ones and buggies. Oh and the pizzas just also happen to be really rather epic. Imaginative toppings, thin bases with pillowy crusts and the unmistakable taste and char from the hand made wood burning pizza oven! With future plans to have baby changing facilities and make Sundays more family focused I think this place is a winner for families. The 'Any Occasion': Arbennig and Arbennig Emporium. These guys have you covered for Breakfast, Lunch, Dinner and everything in between. 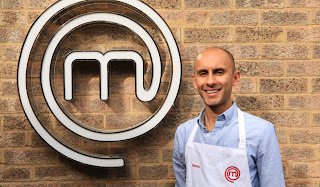 The smarter restaurant is great for a family meal out or Sunday lunch. There is plenty of space, baby changing facilities, high chairs and the service is excellent. Foodwise you would be hard pushed to find dishes that have more thought gone into them, better produce, better executed and more beautifully presented than this place. We even had Baby Clonc's first birthday here! The more informal emporium deals with the breakfast side of things, gourmet focaccia bread sandwiches with a vast array of fillings, pies, salads and an Emporium Menu. Tea, coffees and award winning cakes are taken care of as well as a variety of food based products, ingredients and speciality produce to buy. Most things can be taken away too. 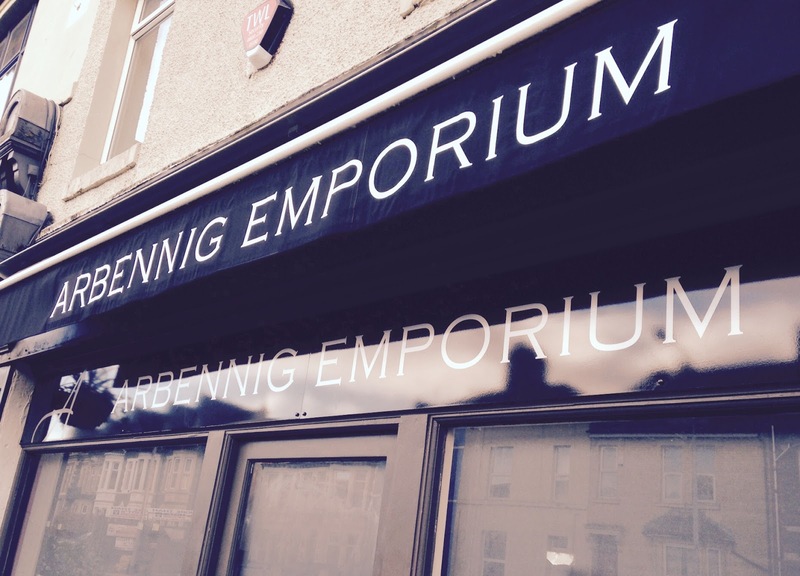 Early risers beware the Emporium opens from 10am. High chairs available but space is at a premium here so buggies are a tight squeeze but the staff are more than happy to help and great with children. There is seating outside when the weather is nice and a small car park too which is a bonus. Yes, I know its not a restaurant however this place will light up the eyes of the young and old and fill your hearts with joy! It's true. Situated opposite to Victoria Park, the shelves and cabinets are stocked with the best bread and sweet things you are likely to find in Cardiff. Watch your kids eyes grow as they set sight on the slabs of chocolate brownies, cakes and short bread. In fact there is a seal shaped biscuit in honour of Victoria Park's most famous resident Billy The Seal! 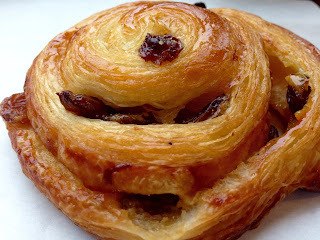 Look out for the new french pastries on offer too which are as good as you are going to find this side of Paris! Grab some treats and some take away hot drinks and hit the park opposite, perfect! There you have it, three more places to try with the kids this holiday season! Please have a read of the previous volumes if you haven't had a chance (Vol.1 and Vol.2). Also feel free to leave your own recommendations in the comments box or via Twitter @KitchenClonc or on my Facebook page Kitchen Clonc . There is no hiding the fact that I love this place. One of my tweets has even been used to promote the place in the most recent St. David's Eat Guide! I have had several meals here since this giant of the fast food world opened its doors last December (the first outside of London) and I have never been disappointed. So when I was invited to visit a couple of weeks ago to review it, I thought Christmas had arrived early. I'm not sure if it's the way they style their restaurant which is both highly stylised and yet still informal or the slick branding or their well trained staff, I just buy into it and then there is the food. On this visit we ordered a Shack Burger (double) (£8.75), the special edition Yard Burger (single) (£7.50), a double helping of crinkle cut fries and a vat of Ice Tea and a Root Beer. The Shack Burger (double) made with 100% UK and Irish Aberdeen Angus beef is a double helping of their classic thin patty, stacked with oozing cheese, lettuce, tomatoes and Shack Sauce. We ordered onions and pickle with ours. This beast of a burger was Mrs Clonc's choice (she wants me to tell you that she was sharing it with Baby Clonc, but you and I both know he didn't get a look in!). This is a brilliant burger; well seasoned, succulent and oozing with cheese. The foliage doing their thing, the pickle bringing the tang and the oh so soft potato bun holding everything together. It just hits the spot. The Yard Burger was on as a special when we went. The burger and bun is the same as the Shack Burger but topped with Neal's Yard Stilton and red onion pickle. Oh my, this was nothing short of heaven. The burger patty all gnarled at the edges is complemented by probably the loveliest Stilton I have tried. The beautifully creamy and subtle blue cheese is the star here. The red onion pickle does well to bring some sweetness and sharpness to cut through the whole thing. As burgers topped with blue cheese go, probably the best I have tried. Sadly both burgers were slightly over done rather than medium which they are supposed to be. The other reason I like the burgers are their size, perfect to hold with one hand while grabbing a fist full of crinkle cut fries with the other. Ah those fries, delightfully retro, perfectly crisp and well seasoned. Perfect. To finish we were keen to try one of their Concretes. Dense frozen custard ice cream blended with a variety of fillings. These tend to be specific to each individual Shack as well as a design your own option. We opted for the Welsh Cake Jam (double - £7.50) of which 5% of the sale goes to The Wallich; a charity aiming to tackle homelessness across Wales. The Welsh cakes are supplied by Fabulous Welsh Cakes who can be found in Cardiff Bay (well worth a visit to pick up a few dozen of their superb welsh cakes straight off the griddle). For the other concrete the lovely chap behind the counter recommended the current guest frozen custard flavour cardamom blended with chocolate and hazelnut brownie (£5.25). Of course I said 'yup'. Well needless to say they too were excellent: smooth, dense, rich and very, very filling. The Welsh Cake one was rather too sweet for me personally but the cardamom and brownie combo was right up my street. Warming cardamom flavour with indulgent chunks of brownie running through it. Gorgeous. To drink, the fifty/fifty iced tea (£3.25) was really refreshing and the large size is American size large! The root beer (£4.50) was just too medicinal and not for me. Having Baby Clonc with us I can report the staff were great with him. There are plenty of high chairs and good changing facilities. I recently included Shake Shack Cardiff in my Child Friendly Places To Eat blog from earlier this year. Had we been paying for our meal it would have come to £42.75 which may initially seem pricey but I believe what you buy is a quality product served in lovely environment. I set out my stall at the start of this review and after this most recent visit I am still very much a fan. All food and drink were complementary but this did not influence the opinion of the review.